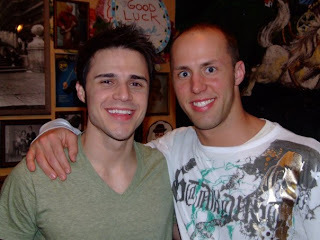 American Idol finalist, Kris Allen, is the brother of Arkansas Zeta SigEp Daniel Allen. Help a brother's brother next Tuesday night when Kris competes to become the American Idol on Fox. PS: One of Kris' earliest public performances was at the YouthAIDS benefit "Rock the Yard" concert at the Arkansas Zeta house.